People have been asking me a question why I like Nokia N8 so much. Why would I choose and wait for this device instead of other popular smartphone thats currently in the market. Well, my answer is that N8 is the best..
(it may not have 1ghz processer) BUT N8 has the fastest GPU for a smartphone. That's why it does not need ghz scale processors cause the GPU takes most of the load already from the CPU. N8 has the best camera sensor on all smartphones. It's even comparable to some DSLR and best several point and shoot cameras. Here is a link of some pictures taken using n8. N8 supports dolby digital sorround sound. - Aside from mobile Dolby surround that creates a virtual surround when you are listen to your stereo headphones , and can hook up to your home theater :) in 5.1 surround sound. N8 supports WebTV. So you can watch from a host of thousands of channels available on the internet and nokia compiles them for you. N8 has the latest Ovi Maps. It is a voice guided navigation which is free, forever! Been playing with this service with my previous phones n97 and e71 and I can say that It's pretty much effective on delivering its purpose to us travellers at ZERO cost. N8 has true multi tasking. Nokia/symbian has been delivering true multitasking already for the longest time. Earlier than any smartphones out there. N8 can be connected to a wireless USB mouse. Not bluetooth, wireless mouse as in 2.4ghz radio frequency connection. I don't know how do they do that but it's just amazing. N8 can be connected to bluetooth keyboard and mouse. N8 can be connected to an HDTV via HDMI. You can watch HD movies on your TVs. N8 USB-on-the-go can use flash drives as external storage devices. It can even use other smartphones as an external storage. You can even turn your n8 into a mini home theater. or Even a PC with the use of HDMI to TV and bluetooth keyboard and mouse with practically unlimited storage via USB-on-the-GO. The best bang for the buck phone. At 399 euros or $549 , it's handheld that's worth more than what you pay it for. It's optimized. For me it has the right display size, not too large or too small that may affect portability nor usability. Doesn't have the fastest CPU(but with GPU) and still manages to last for a long period of time with a 1200mAh battery. Right build, not so light to have a feeling of cheap quality. N8 is very open for people like me who wants to play around with devices, trying what unique things they can offer and customize it the way we users want it to be. There still more things that N8 has to offer which I haven't discovered yet. To summarize it all, N8 is the best device you can buy for the most cost effective price. Now tell me any smartphone you can think of that offers these things at the same price range or even pricier? nah. update 2: Added comparison of n8 to dslr link above. You european folks are luckier cause you'll be getting that phone prioir to us(asian/filipinos). And just to give you an idea, we don't even have a concrete date or month yet on when it will come to our shores. definitely do agree with you! but ofcourse I would also love to answer the question you threw in the "Now tell me any smartphone you can think of that offers these things at the same price range or even pricier?" but of course with the Nokia N900 its -minus the 12mp camera and -hdmi port. 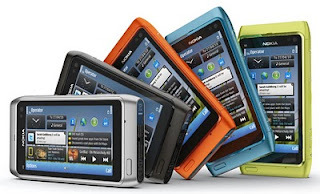 As a proud owner of Nokia N900 myself, I can safely say that the Nokia N8 and the Nokia N900 arent competing at all. Well they have some differences and some other stuff but hey Nokia N8 is a step notch above N900 in some terms and vice versa. Well, its also plain wrong trying to compare these 2... I mean, Nokia N8 is at a different level as of the N900.. Nokia N8 is what I consider to be a top contender for the Smartphone Series (HDMI Port FTW!) and Nokia N900 is still the king for Tablet Series. These two great phones are more like Cousins in someway. But still, I would buy the Nokia N8 rather than having those "overrated phones" that is for sure. And also while waiting for Nokia N900 Successor which is the Nokia N9. Still crossing my fingers that I would be able to get a Nokia N8 unit from Nokia themselves to tinker about once its out. Yea, i totally agree with you also about n8 and n900 on different levels. For me n8 is more focused on multimedia experience from getting pictures and video to playback, while n900, on the other hand is personal computing on mobile. n900 is targeted for those people who wanted to raise the bar on technology usage, you can see it from the various ports of application and even operating system done for n900 and they're 'effin working. Its just that n8 is a little bit later and because of that, many things have been improved(in terms of technology) that it can also do most things that n900 can (on top of its multimedia capabilities). n900 is for the power user, n8 is for the mainstream people. On the side, personally i'm not really biased to nokia phones, there are also nokia phones that I hate (including my n97) but we i can't discount the fact that there are plenty of nokia devices that's very worthy of the price range. That's why i dont like other phones, they're too overrated, overpriced, its like i feel that im being ripped of my money if i buy them (because I know how much they should have, thanks to the internet blogs). You hit it right on the spot! I have seen a lot of people (people who arent that geeky enough to tinker phones) start to hate the N900 after a week of buying it.. and this was the first time that I have seen a phone choose its own user than a user choosing its phone. I mean, the only people left amazed and still at awe with the N900 are the ones that knows its full power and potential..
Luckily enough, the Nokia N8 could once again capture those lovers-turned-haters of Nokia since the last time that they thought Nokia has already changed its interface, because this time its back to Symbian with N8 plus more features, and I mean MORE than the i-overrated phone..
Ironically though, the Phones that has some of the best features are the ones that won't rip you off your money much like the Nokia N8.. just like what Abe of Yugatech said, the N8 would be around the peak of 30K and below just like in comparison to the N900 when it came here in the Philippines and was priced at 29K srp, compared to the i-overrated phone which would really cost you an arm and a leg minus the features. what about TRUE multi tasking? --- aww forget it.. even the predecessor N900 owns the overrated phone on that comparison.. Totally agree with you on everything you said. But windows phone 7 is also promising when it comes to OS. but i got turned off by some limitations that's already being offered by symbian. Well most consumers wouldn't mind those limitations cause they dont even care. they just wanted aesthetically pleasing phones. or use it as a mini computer. connect it to the tv, connect a keyboard and mouse. now i can browse the internet via big screen. Worst of all, the UI is dog-ugly! Cheap comment, implying that more expensive means better. I don't believe in that, especially in this case. Me too. This phone is for those people who care about their money's worth and not only because of the hype. I have money, can buy an iphone 4 or galaxy s but I wont. Or I'd rather get galaxy S than iphone 4 if N8 didn't show up.